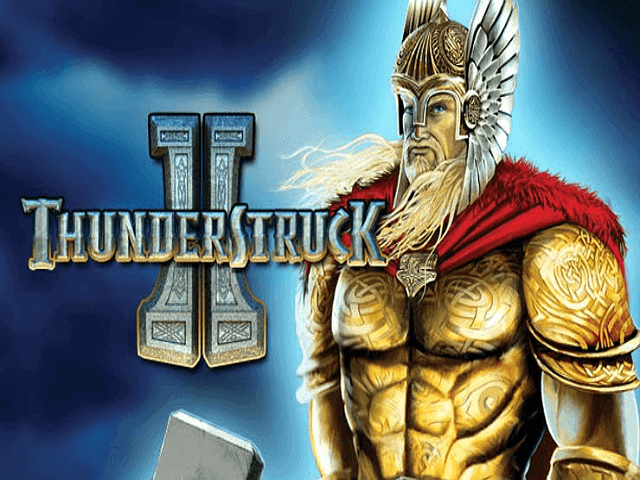 Thor is back in this sequel to the popular classic slot Thunderstruck from Microgaming, and this time he’s brought some other Norse gods with him. The symbols and bonus features are different to the original but the 2010 follow-up has proven just as popular as its predecessor. Whether you’ve played the original before or not, find everything you need to know about the Thunderstruck II slot in our review! Play Thunderstruck II for Real Money! 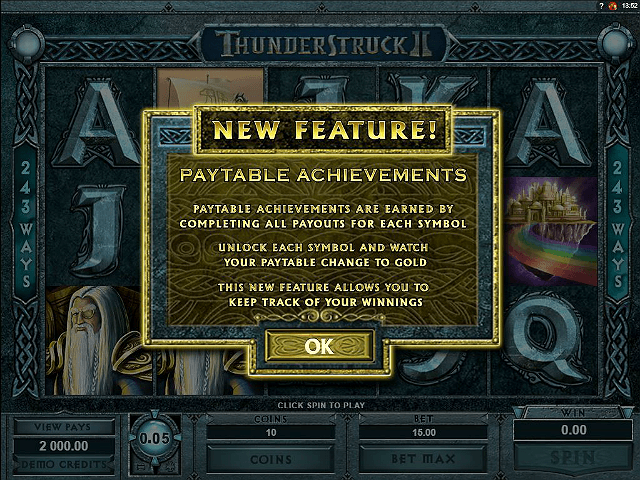 The layout of the game is fairly similar to the original Thunderstruck online slot but the graphics have been given a more modern facelift. The theme of mighty gods is accentuated by the cold, harsh colours of the reels, while the slow soundtrack adds to the tension. As for the symbols themselves, you’ll see the card ranks from nine to ace plus a number of Norse gods including Thor, who pays out 500 coins for landing five on a payline. There’s also a ship, a castle and the wild and bonus icons. Instead of having paylines like the original title, the Thunderstruck II slot machine uses the 243 ways to win format, similar the popular Rabcat game Classic 243. You can bet between one and ten coins with the coin value ranging from 0.01 to 0.05, so the maximum you can bet is £15. This slot machine has a RTP ratio of 96.65%. The overall theme of Norse gods is prevalent throughout pulling spinners into the world of Thor. One feature that’s remained from the original game is that the wild doubles the pay-out when forming part of a winning combination. 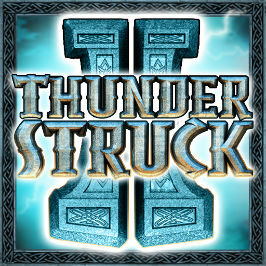 In the Thunderstruck II slot, the wild comes in the form of the game logo and substitutes for all other signs except the bonus scatter. The wild is also the top-paying sign on the reels, awarding you 1,000 coins for landing five. Keep an eye out for the Wildstorm bonus, too. This is a random feature that gives you one free respin with up to five reels turned completely wild. Valkyrie | From the first to the fourth time you trigger The Great Hall of Spins, you’ll get ten free spins with a five-times multiplier applied to all wins. This feature can be retriggered. 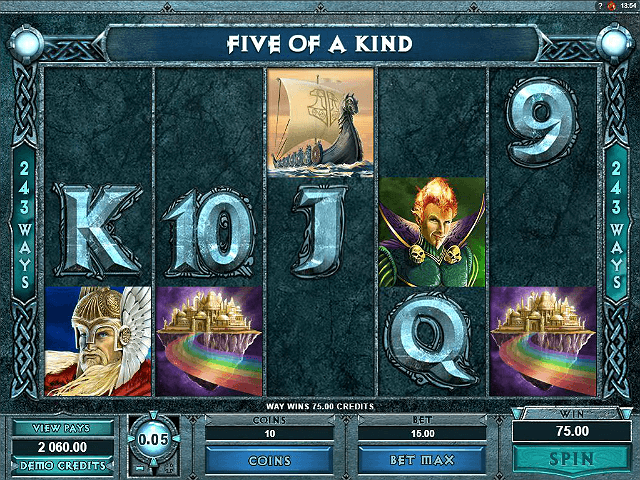 Loki | From the fifth to the ninth trigger, you’ll get 15 free spins. Look out for the Wild Magic character on reel three, which randomly turns other symbols into additional wilds. Two, three, four or five bonus icons will earn you another one, two, three or four spins. Odin | From the tenth to the 14th trigger, the number of spins goes up to 20 and Odin’s Wild Ravens can turn symbols into two-times or three-times multipliers. Thor | From the 15th trigger onwards, you’ll get 25 free spins with Rolling Reels. Consecutive wins will increase the multiplier up to five-times. The Great Hall of Spins feature is what really makes the Thunderstruck II slot machine a mighty game, and it means the more you play, the more you can be rewarded! Share this Thunderstruck II Review today! 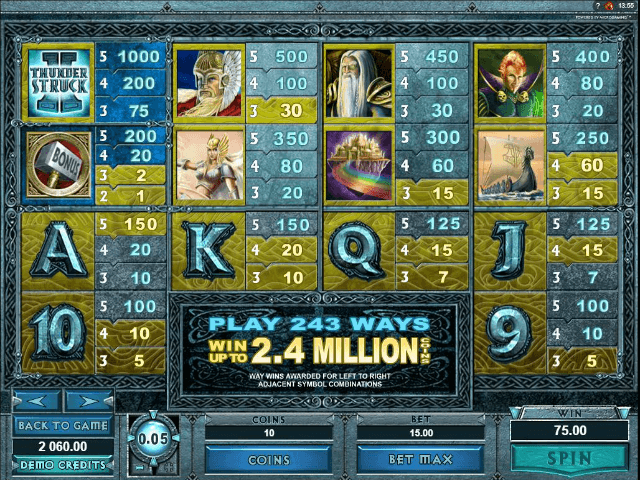 If you like Thunderstruck II, you'll love these slot titles too!